Farmers and landowners across the country are beginning to realise the benefits of diversifying into the leisure and visitor attractions industry. As we shift closer to leaving the EU, the future of traditional farm incomes seems increasingly volatile, putting a greater focus on the need for farm diversification. 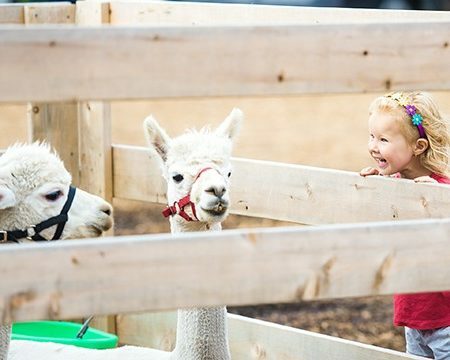 Farm attractions are a growing part of the UK’s leisure market, with an estimated 300 currently operating and that number is growing all the time. 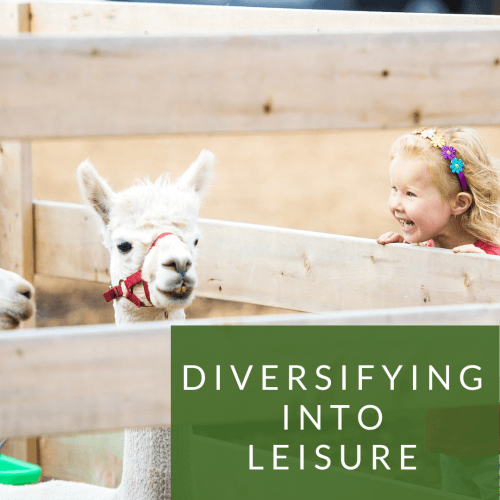 With the threat of reducing revenues and falling profitability, together with all the other usual agricultural pressures, diversifying into a farm attraction can be an effective way of de-risking the overall business while also growing a separate profitable business. In our recent Rural Sentiment Survey, we found that 35% of respondents were looking to diversify into the leisure and tourism sector to help future-proof their assets. The options are seemingly endless, ranging from animal parks to visitor centres and heritage sites. As with any diversification strategy, it is all dependant on your resources and capability. Here we explore some best practice examples of diversifying into leisure, while advising on how to make your idea a reality. It’s vital to properly identify and thoroughly analyse your chosen market, including your potential competition. Who is your target demographic? Who else does what you wish to do? How can you be different? Look closely at your location and your proximity to your key demographic. Are you easy to get to? If not, what do you offer to make the visit worthwhile? How long will people spend on site, what will they want and need while they are with you, what can you offer them to make their time with you enjoyable? It’s important to thoroughly explore your business potential and create a sustainable proposal with a complete market appraisal with set objectives, targets and a timeline to test the proposition and thereby to ensure success. Example: Billy Bob’s Ice Cream Parlour. Through extensive research and planning, Billy Bob’s intention to develop the first branded food and beverage offer in the rural sector was enhanced by creating one of the most visited family attractions in North Yorkshire, which expanded from their original ice cream shop. Find out more about the project and how we helped. The top 40 visitor attractions attract approximately 75 million visitors each year. The rise in popularity of the “Staycation” is well documented. We are blessed with a wonderful and diverse countryside all across Britain – and many people are keen to make it their holiday destination or just their week-end treat. More and more people are opting for domestic tourism, in part fuelled by political and financial pressures. The increase of rural attractions (both in quality and quantity) is a testament to the creative and innovative qualities of many in the farming and landowning community. For visitors to truly benefit from your attraction it will most certainly need to be a cost-effective day-out that is considered by your customers to give value for money. Visitors should not only enjoy the experience but enthuse at the value of the proposition – this drives repeat custom and spreads awareness. You will also benefit from providing a service which balances the journey time with the length of time people stay with you. For some attractions a short drive-time can generate higher visitor satisfaction levels. For others, the distance is almost immaterial, such is the quality and value of the experience. Implementing high-quality, challenging play equipment enables farm attractions to raise the bar higher still, increasing dwell time and encouraging repeat visits. Example: Bewilderwood. 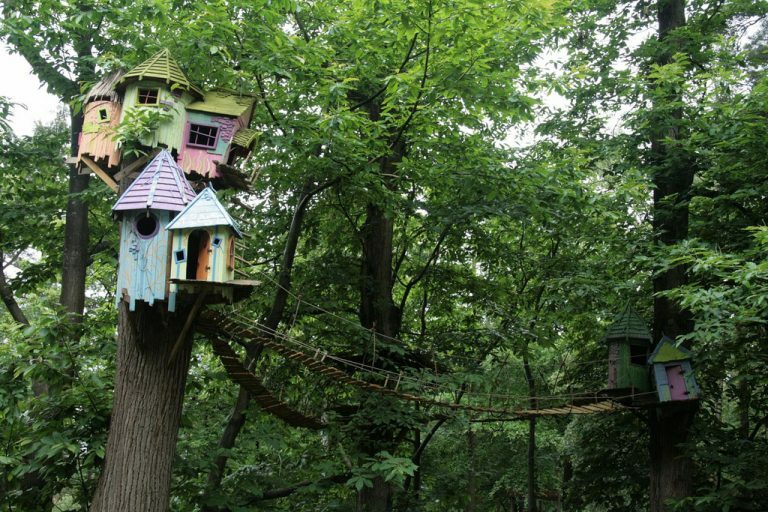 A fantasy-themed outdoor adventure park in the woods, Bewilderwood offers families a myriad of activities appealing to multiple age ranges. The price of entry is based on height and therefore ranges, but gives customers the opportunity to spend the entire day playing and exploring, making it excellent value for money. Find out more on the Bewilderwood website. The idea of embarking on any new project can be daunting, especially when tied directly to your livelihood and the thought of financing your diversification project can often be perceived as a stumbling block. Prior to committing, ensure you undertake a business overview and financial health check. It’s essential to fully understand your assets and financial limitations. There will most likely be additional tax implications you need to be mindful of, such as Business Rates. There are also positive funding avenues. Many may not be aware of the Rural Development programme and the LEADER funding project available to local businesses, communities, farmers, foresters and land managers. This can often help reduce the direct cost of conversion for certain projects. You can find out more by clicking here. 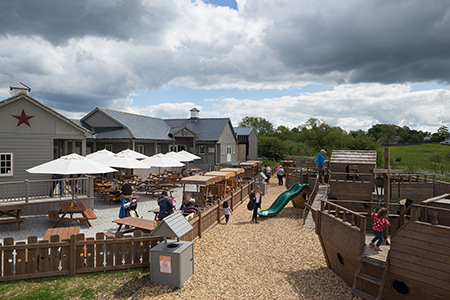 Example: Astley Vineyard, proving that visitor attractions are not just for children. 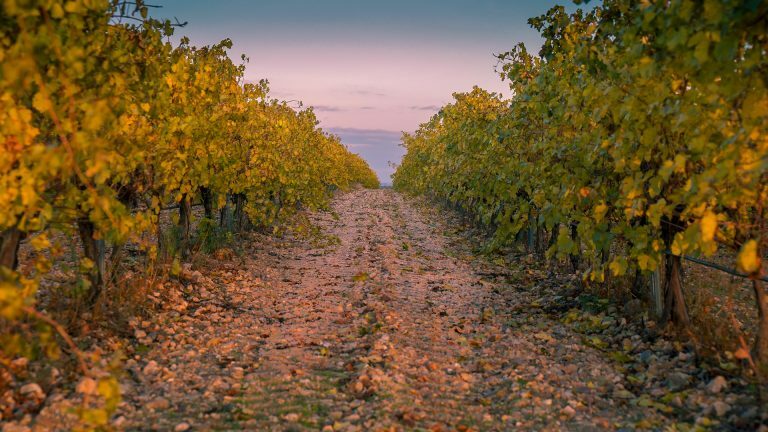 Established in 1971 it is one of the oldest vineyards in the UK who recently received a LEADER grant of £50,000 for the construction and equipping of a new visitor centre and winery. Tim Haywood, Owner of Astley Vineyard said: “The development of this building has enabled us to open up the vineyard to visitors and will give us the flexibility to experiment with our wine.” Find out more about Astley Vineyard here. TOP TIP: Venturing into a new industry can be daunting, it pays to engage people with experience to help you make the right decisions along the way – whether that be designing the scheme, how to operate or achieving the right planning permissions. Rural Solutions are rural diversification experts; we have over 60 years of combined experience in enabling and maximising the potential of your rural diversification. For more information or discuss your needs, contact us here.